Think of a complex coastline, which is under the regular impact of strong storms that even in the case of large oil tankers can lead to relatively high shipwreck events. One day comes the tanker whose wreck becomes, for various reasons of diverse coherence, a social threshold, a wreck too many. This happened in Galicia (north-western Spain) in 2002 with the Prestige tanker. 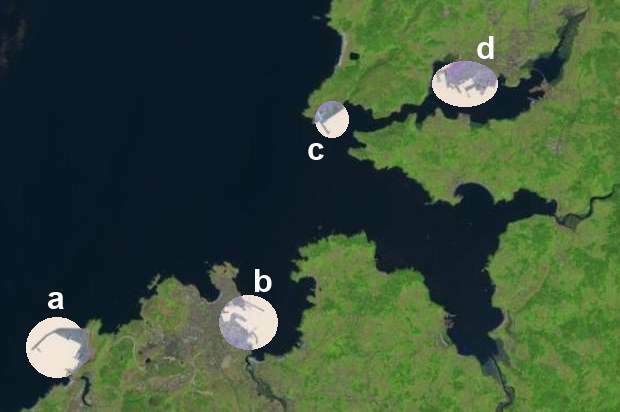 As a result, the Spanish government (with powers over large ports) decides to create in La Coruña (b on the upper image) and Ferrol (d) two new large external harbours (a and c). The rationale is to take hazardous traffics off the city centres. 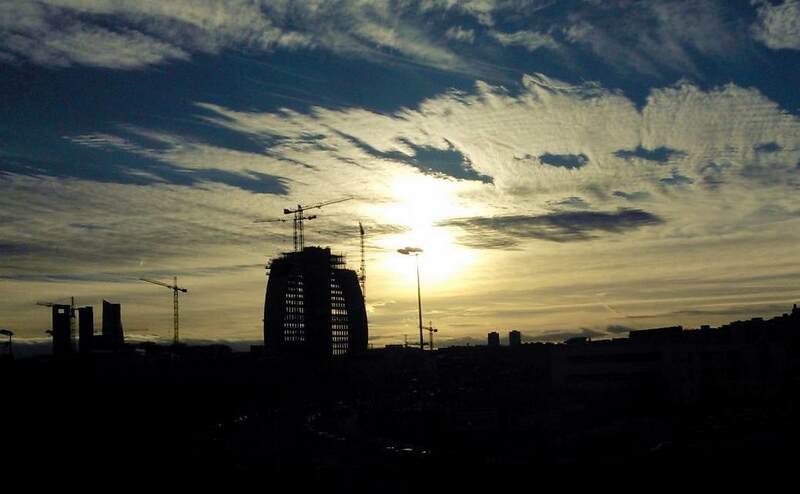 Creating new infrastructures is rather common, but here the operation brings to mind what to do with urban core quays. Bilbao managed to conduct such an operation some 10 years ago around the Guggenheim museum. 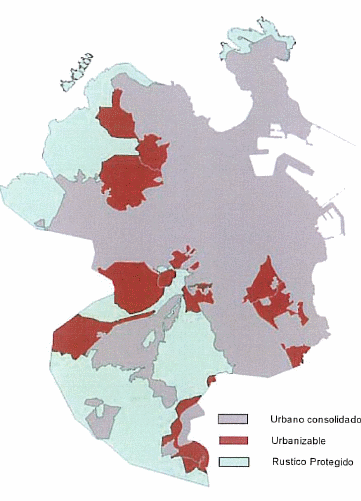 The new General Plan of La Coruña. Urban extension land is red. The new harbor is on a different municipality. 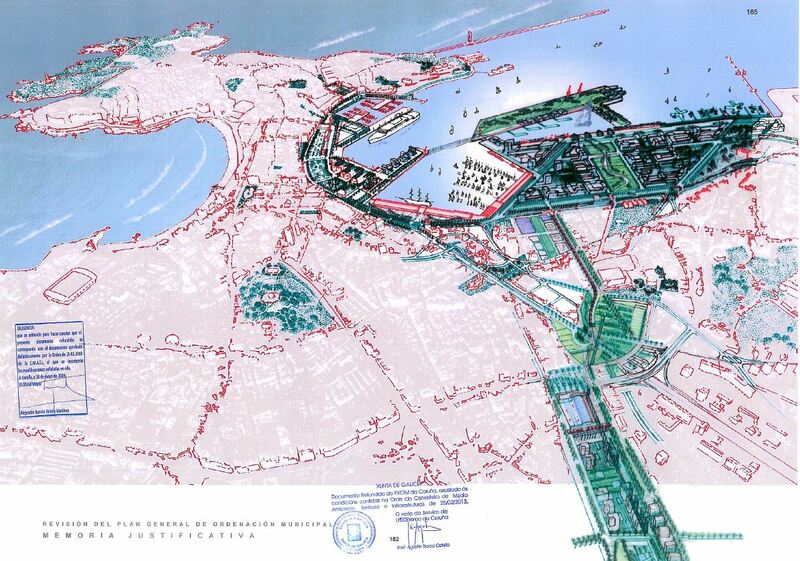 The new General Plan of La Coruña defines a new residential area over much of what now are quays. 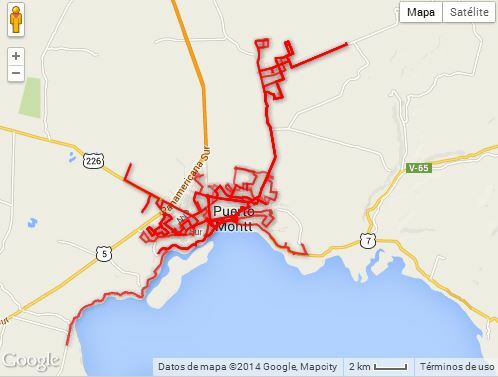 The municipality is rather small, and quite occupied by urban areas, so it is a growth option. This will transform what is now an urban core harbour, and seems rather an industrial area, in a different thing, raising questions about how the soul of the city will change. But it also raises questions on how long this will take in a crisis context. In the middle of this there is a large water surface. Many European countries have currently digital cadastre systems allowing the consultation of plan data on lots and buildings. The following stage would be to publish trustworthy 3D data. The Spanish Cadastre magazine published in 2010 an article (Amelia Velasco et alt) about the issue. 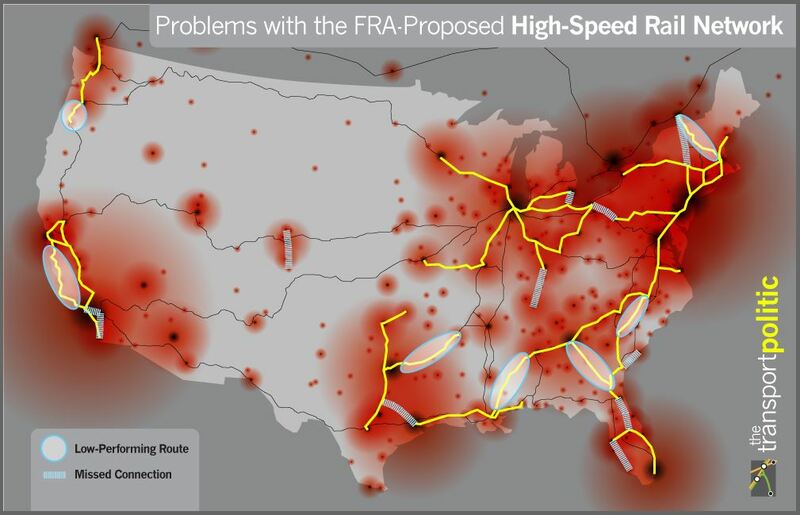 A clear schematic layout which criticizes federal plans for the high-speed train national network in the USA. Good use of yellow (not always easy), of density rendering. The result is fit for the web. The original can be consulted on http://www.thetransportpolitic.com/2009/02/19/stopping-the-wrong-project-before-it-happens/ , with some comments that can also be applied to other geographical contexts. As often, a good map is a set of stories that can fuel the conversation. The plan (started in 2009, under environmental scrutiny as of 2013) defines a land use model for a 860 sq km zone including part of the territory of five municipalities. It encompasses two coastal areas (the southern shore of the Llanquihue lake and the seashore around Puerto Montt), as well as the main north-south Chilean throughfare, the Panamerican Highway, as it crosses the area. The aerial images show an interesting landscape in which this road, stretching along a plain, seems to attract varied uses. Madrid, some years ago: a new city bylaw allows conservation works on façades to be protected by an adds-covered tarpaulin. So over the years we have had 20 m high wonderbra adds (or George Clooney, what else?, to the delight of our ladies). 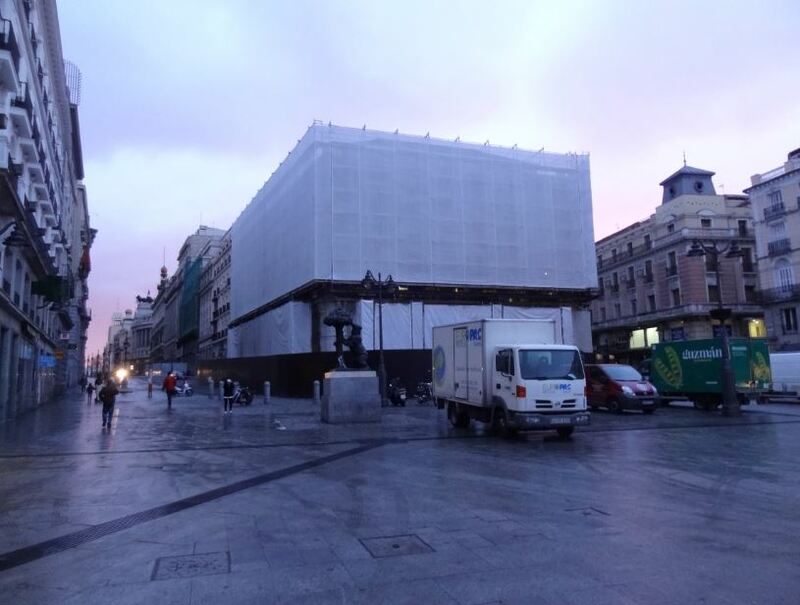 And then a major US company comes to Puerta del Sol and just makes this kind of tarpaulin. Who do they think they are? they just know that our buying an apple a day keeps their problems away. Now more seriously, this is, in the current cacophony created by the aforementiones bylaw, like seeing a Christo-wrapped building, so not a bad move. Ports matter as exchange points between exterior ports and the served inland areas. How is this organised in terms of metro area relations in terms of spatial planning? 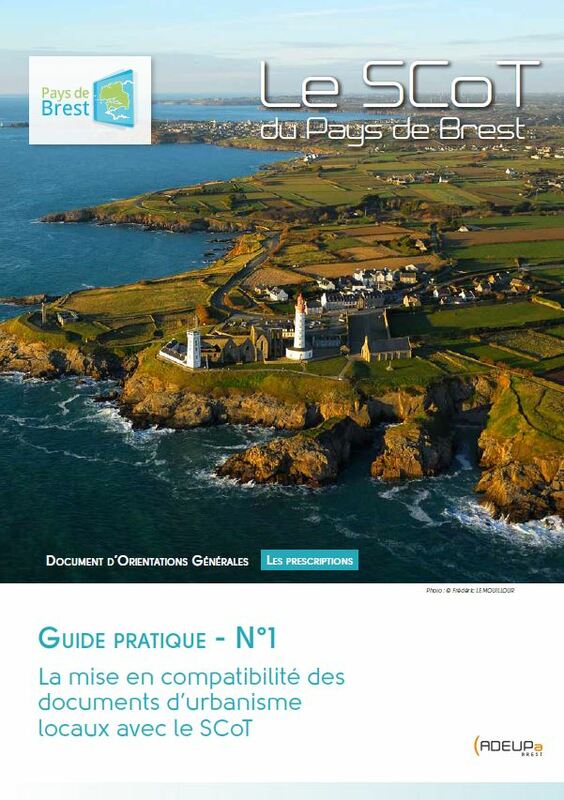 Brest has a regional planning document (SCOT) encompassing the western tip of Brittany and 14 intermunicipal cooperation schemes. The SCOT is relevant for some land use operations over 5 hectares (some 12 acres) and big box retail proposals. 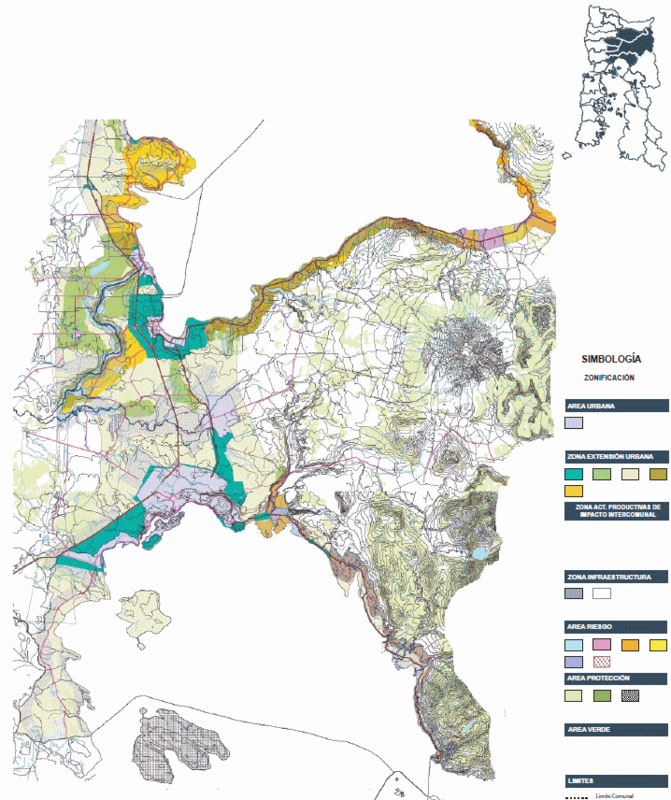 Its maps must be adapted by local planning to a larger detail scale. 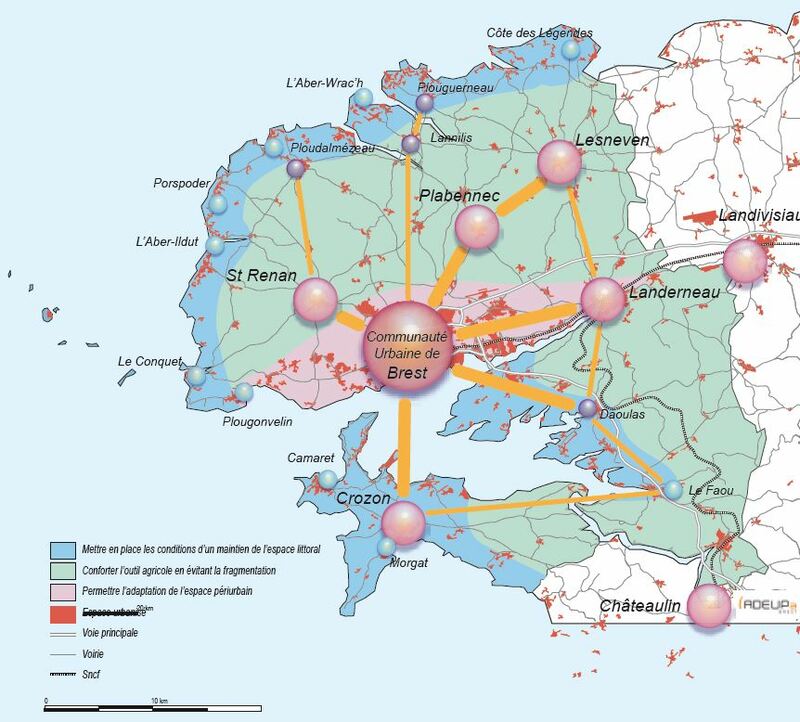 The urban system is organized in urban agglomerations (large population settlements in all the coastal municipalities+ 3 secondary settlements + areas so defined in local plans), villages (over 40 dwellings) and hamlets. Infill growth is priorized (and the only option in hamlets), and higher level settlements can also have continuity growth (no leapfrog growth permitted). Transportation is also a relevant issue for Brest’s SCOT. Kevin Lynch (1918-1984) was an American architect that developed an interesting work on how people perceive cities, which is summarized in his book “The Image of the City” (1960). The Massachusetts Institute of Technology has publishes a preliminary inventory of his papers, which provides a glimpse on how he organized his research and organized his ideas. Some days ago I found a curious wallpaper on wetransfer (the large file transfer service). 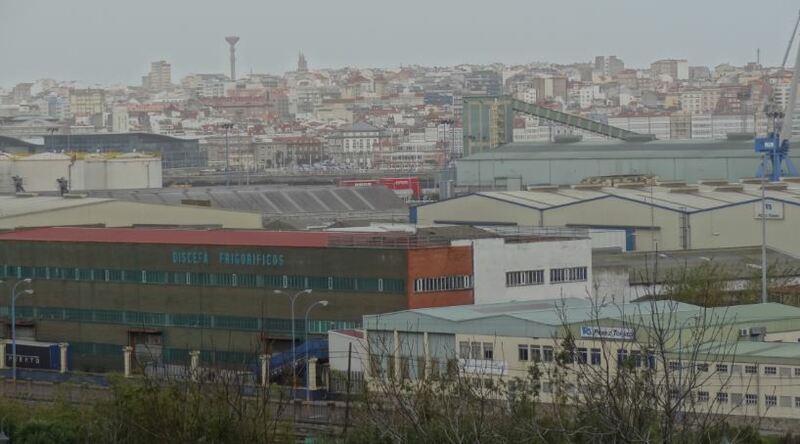 And the referred site introduced me to the interesting work of Ana Aragao, a Portuguese architect. This is not a map, strictly speaking, but it is a true demonstration of what I think is a must for any good map: it is a bunch of stories that can be different depending on the path you choose to read it (being so radically different from a literary idea, which is forcibly much more linear). Ports have a central meaning as nodes in a network of maritime transportation; a ship captain can only get to the right harbour if provided a good navigation chart. 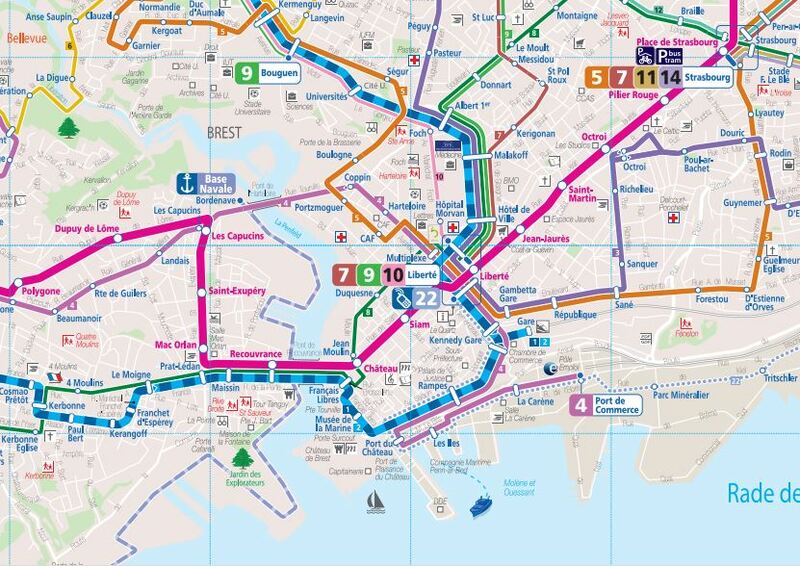 So it is interesting to see how the residents of these port cities are told how to go from one place to another by public transit (mainly bus in cities this size). This somehow brings to the mind the work of Kevin Lynch on the image of the city, as well as how citizens perceive it. Sure, architects like global maps in which the whole network can be seen, but these are not always easy to understand for lay people, and besides their design is not always clear. La Coruña has a lines map quite complex. It is a peninsula with a narrow isthmus which causes a heavy density of lines in certain areas, so it is not that easy for some to understand how to go from A to B. 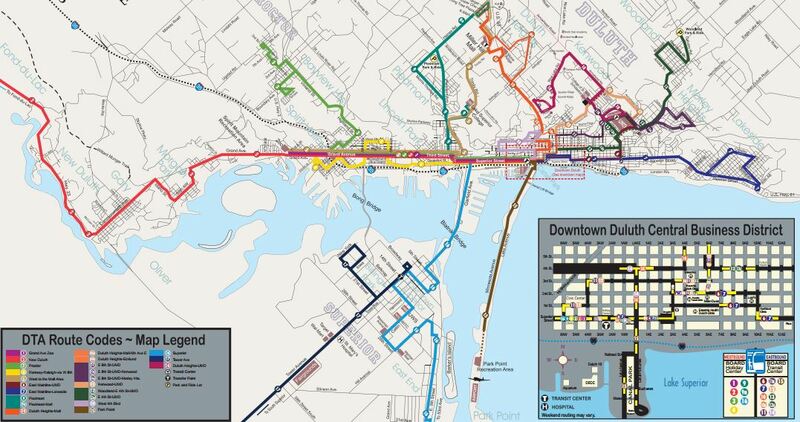 Bus stops have a simplified version of that network; some people complain that the map is hard to read in dense zones. The transit company’s website shows simply a list of stops along each line, and a link to google for maps showing which streets the bus takes. I have found no clear, structured website about urban transit in Puerto Montt, but rather (and it seems quite usual in Chile) a central Government site that explains, by province, the transit networks by classes, including the municipal scale. 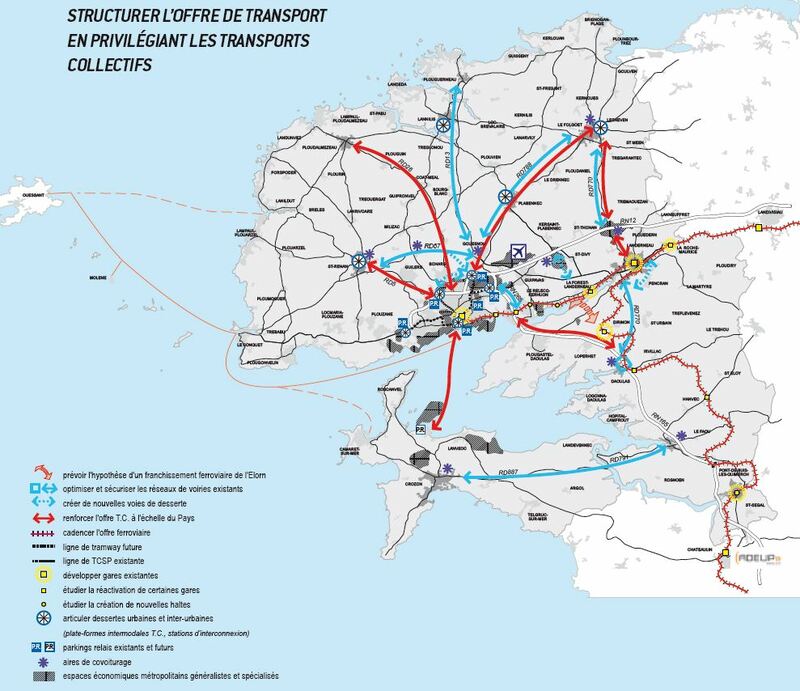 Brest has the most sophisticated public transit system of these four cities, with supra-municipal scale and a tram line. There is a real network map, quite clear, which reproduces the map of the territory without deformations; besides, line maps are also based on the geographical map. There is also an interactive map. Even if this may come as a surprise to many given its quite peripheral location in the US and its sprawl, Duluth also has a public transit system. There is a map of the whole network, and the line maps are, as many similar things in the US (just think of the zoning map in NYC) utterly simple, but efficient. The street grid is reproduced under the line layout without deformations, for each line. Overall, despite the role of the ports in the economies of these cities, transit networks show overall that there is a more complex reality (being otherwise clear that this minute analysis is just considering line layouts, excluding such things as schedules or fares).